The 2017 season is upon us. 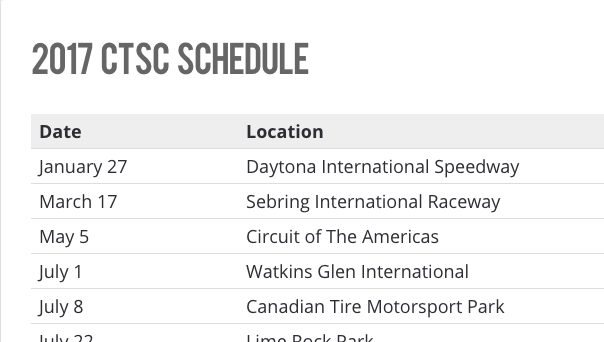 We’ve updated the CTSC Schedule to show this seasons race dates. As the season progresses this page will also offer an easy way to find information on each race weekend’s events as well as the results. As a reminder you can find the schedule under the menu which you can access from the icon in the upper left of the site.